As Matthew moved from the Bahamas to the Carolinas, ocean observing technology – such as buoys – captured waves over 20 feet and wind speed of over 50 knots along its’ path. Hurricane Matthew was the first category 5 Atlantic hurricane since 2007. After wreaking havoc in the Caribbean, Matthew started its path along the southern Atlantic seaboard of the US as a category 3 hurricane, eventually making landfall as a category 1 hurricane north of Charleston, SC on Oct. 8. Maximum sustained winds were near 120 mph during the US portion of its track. The Southeast Coastal Ocean Observing System (SECOORA) responded to the storm in real time. SECOORA, a 501(c)(3) nonprofit, coordinates coastal and ocean monitoring activities in the southeast United States in partnership with NOAA, U.S. IOOS and a number of other public and private interests. SECOORA supports marine weather buoys and high frequency radar coastal stations located in the impact zone of Matthew. One buoy operated by University of North Carolina Wilmington reported wind speed of over 42 knots or 48 mph. Buoys, coastal stations, forecast models and other ocean technology transmit data – such as wind speed and wave height – in near real time to data servers and portals. Near real time data is used by weather forecasters and Emergency Response Managers to confirm what the models are predicting and report the true conditions. It helps them accurately decide the best way to respond to dangerous situations. The SECOORA Data Portal allows visualization of data from multiple sources in near real-time. Our Hurricane Matthew resources page featured 20+ data resources from federal and non-federal partners. Figure 1: Pictured is the track of Hurricane Matthew and wave buoys on the southeast coast. Buoys reported significant wave heights over 25 feet. Figure 2: Pictured is the track of Hurricane Matthew and ocean buoys on the southeast coast. Many of the buoys have sensors that collect metrological data. The buoy in Grays Reef National Marine Sanctuary operated by NOAA transmitted wind speed of 54 knots or 62 mph before the anemometer stopped reporting. Although most ocean observing assets fared well in the storm, some were damaged or went adrift. For example, buoy 41114 operated by the Coastal Data Information Program broke loose during the storm. 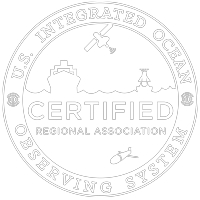 These observing assets are critical to all sorts of mariners and other stakeholders that live and work on and near the coast. SECOORA is working to document damages to this important infrastructure that informs us whether our ocean ‘highways’ are safe to work and play on. Below are descriptions of the ocean observing instruments that were in the incident zone of Matthew, with those that were damaged highlighted in red. Please contact us if you know of assets that were damaged that are not listed. Click here to download the full excel file that includes information on federal and non federal assets.